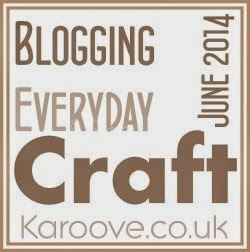 We are just over half way through the Blog and Craft Challenge and I'm thoroughly enjoying getting to know other crafters and bloggers who are joining in the Challenge this year. It's great to see what written and creative posts are being uploaded. Inspiring! Let's have a look what the 16th Day of the Challenge brings! I can't say I'll be on Masterchef anytime soon, but I would like to be able to cook at least a few good and basic dishes to leave home with. At the moment my Dad does about 80% of the cooking in my house (I still live at home) and he's a great cook, so if I could at least be a third of a good cook as he is, then I'll be happy. 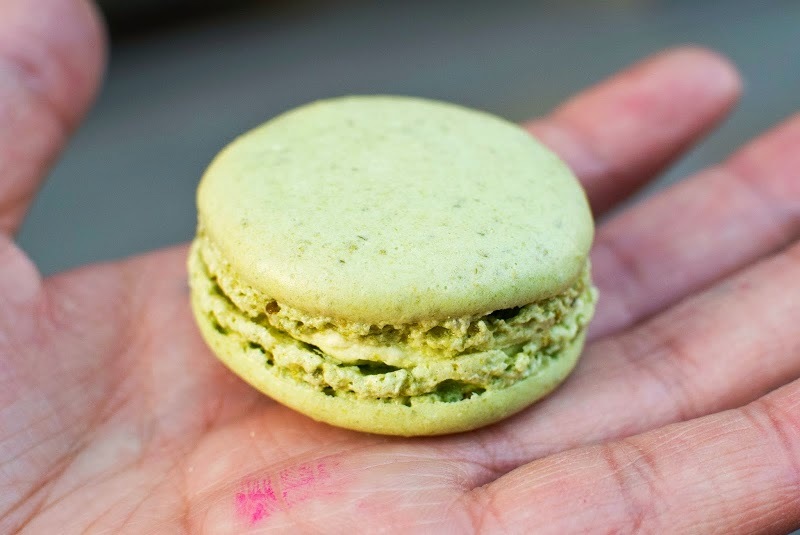 I would love to be able to make French Macarons because they're favourite dessert and they're awesome. Errr, I'll probably be going on about this for years to come - but I want to try and master it and see if it's right to me. I'm trying to learn about one layer cards at the moment, but I think I'll probably need to invest in better ink pads and tools for the right effects. This was on last years list as well, but it's a new skill for me and I would like to try it and be good at it. Make different things, make a scarf, a hat, gloves (one will be bigger than the other!) plus it looks like fun, so I would like to learn how to do that. For this card I've used some white 300gsm card stock and used a striped patterned paper from American Crafts. I stamped a consecutive set of images and sentiments from the We Totally Click stamp set from Paper Smooches. The images were stamps with Memento Tuxedo Black ink and coloured in with Cool Grey 4, Ice Grey 2, Ruby, Tulip Yellow, Bright Orange and Bright Green Promarkers. I used an X-Cut Speech Bubble die cut on another piece of pinky-red patterned paper from the same American Crafts pad. Hope you guys liked the double post for today! Happy Crafting! I can do Shepherd's Pie which my friend taught me to do after she gave me some cooking lessons! I tend to go out and eat most of the time - but I wish I knew how to cook and bake more! Practice makes perfect. I'd end up burning the kitchen down to be honest - i'm not a great cook! Great post Mel, I'm with you on the sewing! Love your card.....real bright & cheerful!